Kay was born on May 17, 1937 to Roy L. and Emma (Lowery) Hummell in Pendleton, Oregon. 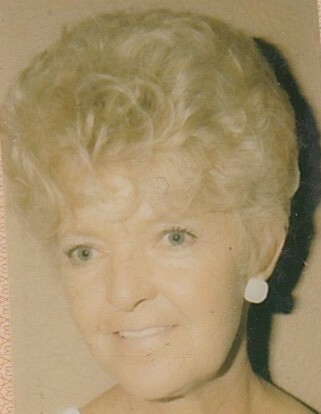 She attended school in Pendleton graduation high school in 1955. She went on to work at New Process, Mainline Plastics and Sheldon Research as a lab technician. She liked camping, fishing, boating, baking, gardening, spending time with family and she loved her soap operas. Kay was preceded in death by her husband Danny Hines, her parents Roy & Emma Hummell and brother Art Hummell. She is survived by her son’s; Rick Hines, Duke Hines, Stacy Hamilton of Prineville, daughter’s; Vicki (Hines) Hamilton, Sabrina Boothe of Prineville, sister Jean Graff of Sunnyside, Washington, grandchildren; Corey Hamilton, Sammy Hamilton, Justin Hamilton, Jacob Hines, Tommy Joe Hines, Brandy Hines, Tia Hines, Billy McClain, Brandon Boothe, Bradley Boothe and Joshua Jackson. There's still time to send flowers to the Celebration of Life at the VFW Hall at 2:00 PM on May 18, 2019.